Cardinal Newman College student Timothy De Goede has been selected to receive the prestigious Harvard University book prize. Each year only 2,000 institutions worldwide are selected to receive this award, which is then to be presented to a student in their first year of studies at the College. The schools and College’s which are selected are deemed by Harvard to be outstanding educational institutions, so the College is extremely proud to be considered so highly by the Ivy League University having been selected for the third year running to be a recipient of this award. The College was then tasked with finding a Year 12 student who is “academically excellent with exceptional personal qualities, who makes a significant contribution to their school/college or community”. Teachers from across the College were asked to nominate students whom they felt fitted the bill and act as outstanding ambassadors for Cardinal Newman. Principal Nick Burnham then selected Timothy as the winning student. 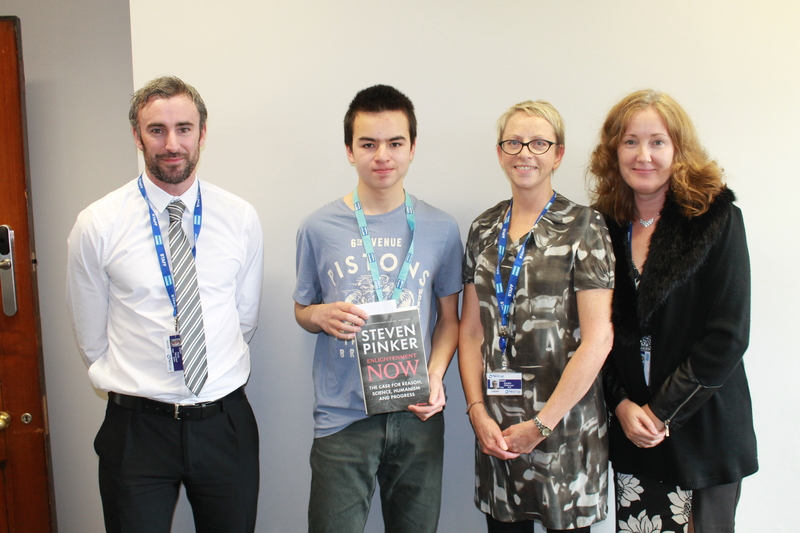 Congratulations to Timothy who was awarded a copy of Steven Pinker’s “Enlightenment Now”.